lIya is a Wealth Adviser and Partner in the Chicago office. Ilya, and his team, advise high-net worth individuals and families on all aspects of their financial life. Prior to joining Vivaldi, Ilya worked as an Investment Consultant at TD Ameritrade. He also spent a period of time as a Senior Associate in the Private Wealth Group at RMB Capital Management. 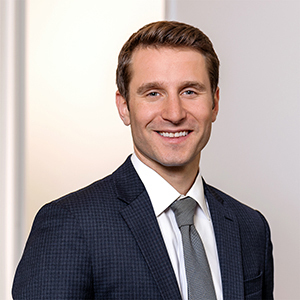 Ilya received a BS degree in Finance from the Kelley School of Business at Indiana University and his MBA with concentrations in Finance and Entrepreneurship from the Booth School of Business at the University of Chicago. In his free time, Ilya enjoys biking around the city with his son and climbing mountains in adventurous parts of the world.